Update 29/04/15: The game is now out of beta, and fully live for Linux. See below for my impressions. After the colossal letdown that was Spacebase DF-9 I have wanted a space colony builder for a while, and while they are quite different, The Spatials has filled a small hole for me. It seems like a very solid port, but it doesn’t have any graphical options. So I would still be wary if you have an underpowered PC. There have been no crashes or slowdowns of any kind, so it’s working very nicely for me. I’ve only encountered one small bug, and after I reported it they are looking into it as others confirmed it. It doesn’t actually affect the gameplay, so it’s not really a big issue. Once that is fixed it sounds like the Linux version will be considered stable. I was expecting more of a sandbox experience, but it actually has missions and sectors of a galaxy to unlock, so it’s much more progression based. Not a bad thing, just nothing like what I was expecting. The game is rather nice, but isn’t without its own set of flaws. There isn’t much highlighting on items like buttons or objects, so you need to click around a bit to remember what buttons do what. It would be much nicer to hover over something and have a description appear. They have added some initial information on hovering over people, but it needs expanding. You only get a limited set of rooms and objects to build at the start, but as you progress you gain access to more buildings and objects through research. This wasn’t explained at the start (unless I missed it), which is what I found confusing. Just clicking around on the various buttons on the screen, and I found myself on a research section. Luckily each new section has a little tutorial robot in the corner to explain things, but it’s pretty simple stuff. Some unlocks on the research screen need research points, and that’s where doing away missions on different planets will come into it. One thing does really bug me about the base building, and that’s the AI. It doesn’t seem to select the closest available person to build. It seems to just pick someone from your base at random, and they could be over the other side of the damned station, so it can end up taking a while. This becomes more of a problem when your station gets bigger, and an absence of a speed up option becomes a bigger annoyance. Having a worker build a corridor and then suddenly walk off, while the AI picks another worker to do the next bit who happens to be over the other side of the base is frustrating to watch. Another point about the importance of information popping up for you: I built a factory with a metal press, and it has two options in production control: “Queue” and “Global”. Nothing has told me what they mean, and they don’t exactly explain themselves. You would expect to hover over for a quick “this option does this”, but nope. I would have really liked to see at least a tiny bit more survival involved, with things like Oxygen being needed. Just little things to spice up the base building part of it, as after a while it feels a bit dull due to how simplistic it is. Another really easy way to spice it up would be invasions of some sort. They already have a combat mechanic, so it shouldn’t have been too much of a stretch. It would have made the game vastly more interesting to have a slight worry about defences. In my two solid hours of testing, I seemed to only ever get 4 visitors a time. It seems that’s a static amount (No indication of more people coming), so the bigger your station gets, the more empty it will feel. I like how simple the base building is, but I feel it would have been nicer to have either more visitors a time, or have people come to live at the station too. However, you can have more people if you recruit more officers directly, but that’s the only way. I think having visitors decide to live at the station would have expanded it somewhat. Edit: I asked about it on the Steam forum, and if you build more landing pads, more shuttles will come, so this is somewhat a moot point now. Visitors along with your officers do have some basic needs, like food and drink. My current visitors always seem to be pretty unhappy due to a lack of shopping facilities right now, but unhappy people don't seem to really affect much. It wasn't explained what happiness does either, so it's another point about not explaining everything. It’s not all about building up your space station, you do also need to send your selected and well equipped crew on away missions. These away missions are also done in real time, so you click around and watch them do their thing. You can collect loot, kill pirates, kill animals, and while doing it you gain little bits of resources. Loot collecting is simple too, you just walk near it and pop it’s yours. Everything is delightfully simple, even the combat. The combat system is quite nifty, all you need to do to fire weapons is hold the left mouse button down over someone or something, and they all fire at it. You do have special abilities too like grenades, healing your team and so on. This is where the RPG aspect comes into play, as you can equip your team with different weapons and abilities, and it’s quite a nice system. When you conquer a planet, you gain the ability to get certain resources from it. Once conquered you can select the resources tab to buy access to each resource. Once purchased they should automatically come to your stations warehouse every x minutes. It’s an interesting way to do it, and it does require you manage you finances, as I ended up buying all the rights I could and blew all my credits! A real minor point, but I really like it when I can just press ESC to open the main menu. Games that don’t do this, which forces me to use a random button to open the menu need to just stop. Final Verdict: It’s worth taking a look, and I did find it to be interesting and sort of relaxing. I just hope they keep expanding it and keep polishing it up. I feel there’s massive amounts they could have done with it to expand it, but it’s still a nice game. It does look like they plan some future content, so I look forward to seeing what it is. 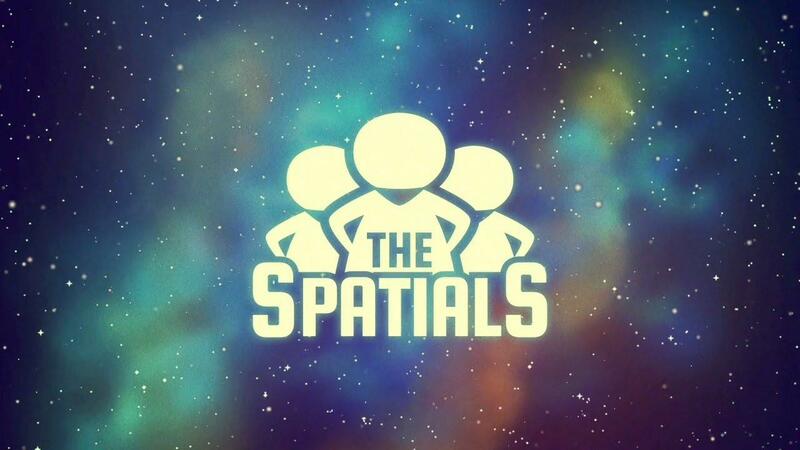 Check out The Spatials on Steam. Anyone who buys it can access the open beta in Steam's beta tab for the game. Sips from the Yogscast did a look at video if you want to see the early game gameplay. From my personal point of view: Theme Hospital in Space, at least the graphics resemble it and the gameplay looks fun. Avehicle7887 From my personal point of view: Theme Hospital in Space, at least the graphics resemble it and the gameplay looks fun. Mmm, not quite. I do see what you mean a little, but with the away missions and RPG aspects it's rather different. The base building side however is a tiny bit like it. The game is now out of beta, go get it! Glad to hear it’s an actual game with a goal, and not turn-based! I’ll probably get it sooner or later; the price is reasonable too.